Learn to identify and harvest wild edible plants - from the common backyard "weeds" to the wild edibles and medicinal plants in the area. 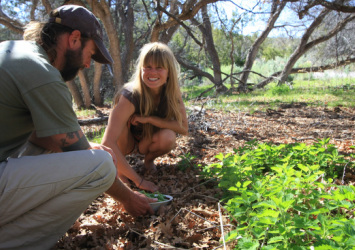 In this workshop will be exploring the magnificent canyonlands in search of the many varieties of plants available for wild foraging, and teach ethical harvesting of herbs in nature. We will prepare meals with what you gather and make poultices from native herbs you forage for a variety of healing purposes. You will be surprised how many edible (and yummy) plants grow around your house, even if you live in the city!